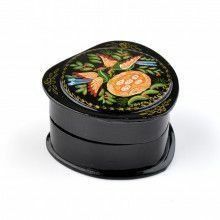 This lacquer box set of three was hand-crafted, hand-painted, and imported straight from Russia. 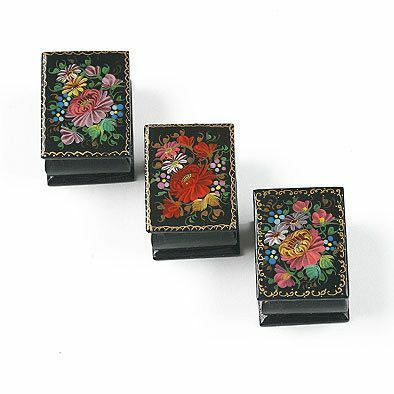 The extraterior of each box is covered with black lacquer and adorned by an exquisite miniature floral painting. 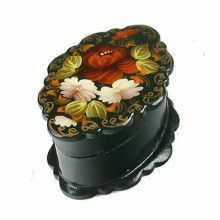 1 1/2 "x 3/4" x 1/2"